Writing ad copy can be a tough feat. The good news is, you don’t have to be a super-creative copywriter to whip up competitive ad text. In fact, following a pragmatic approach can be advantageous. Here are a few simple steps that will help you to assess the competitive landscape and write ad copy that will stand out against your competitors. Don’t bunt. Aim out of the ball park. The product or service you represent is depending on you, and if you allow yourself to take shortcuts or present a less than compelling argument, then you’ve failed. In advertising, those who ignore research are as dangerous as an army who goes on the offensive blind folded. You cannot write copy unless you know who you’re writing it for, how that person thinks and what that person needs. A prospect is not a moron. Potential customers are your friends, spouse, co-workers and even children. Don’t insult their intelligence, and try don’t shock them. Treat your customer with respect and dignity. You’re on equal footing, or perhaps even a bit lower, considering you’re the one who needs the sale. Reflect that position in your copy. On the average, five times as many people read the headline as read the body copy. When you have written your headline, you have spent 80% of your time, energy or budget. To complete your ad, include a call to action that gives your prospects an incentive to follow your CTA. You can opt for the standard “buy now,” but if you really want to step it up a notch, consider a more creative alternative. If you’re a business owner or ministry leader, leveraging the power of intelligently produced ads is not an option, it’s a must! Another epic week is shaping up at Cybergenica and Glorious Media as we continue to serve God through internet marketing, web production, media authoring, business automation and of course, ministry and farming. One area of service I’ve not written about much is Civil Air Patrol, the flagship auxiliary to the U.S. Air Force. My daughter Grace has been a member of CAP since August of last year, and she has been advancing rapidly as a cadet and she is now a Senior Airman, a title held by very few cadets who have been with the program less than 1 year. Over the weekend, Cadet St.Pierre was blessed to take her first two glider flights at the Brooksville-Tampa Bay Regional Airport where, under the supervision of CAP pilot & instructor Jonathan Salazar, she piloted the glider for close to 30 minutes, soaring over Hernando county like an eagle. I give praise to our Lord He returned her to us in one piece, and I look forward to the day when Grace has her pilot’s license on her way to the Air Force Academy, and God willing, on her way to serving our great nation in the U.S. Air Force, living out my childhood dream. 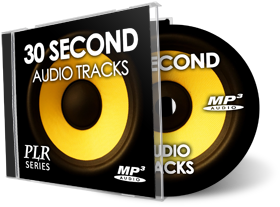 On the flip side of silence, today I want to share music with you, more specifically 25 PLR audio tracks for you to use in your media productions or, to give away or even sell on your website – – for God’s glory! 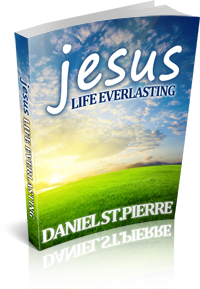 What you do with this PLR product is entirely up to You! Because this PLR product comes with its own Private Label Rights license, anyone can ethically and legally give it away or include it as a bonus with any package. You can even try and sell it if you dare! To get started, click the link below to download the PLR product file in ZIP format, then after you unzip the file, review its content before you leverage its potential on your website. Another epic week is shaping up at Cybergenica and Glorious Media as we continue to provide top notch production & marketing services for our clients in Australia, Canada, Europe and of course, throughout the United States. One area where we excel is pay-per-click advertising, leveraging the popularity of PPC giants including Google Adwords as well as Facebook Ads to drive qualified, targeted leads to highly converting landing pages (sample) we produce for our discerning clients. In recent years, we’ve added YouTube Ads to our arsenal, the most popular video advertising channel available and the world’s second largest search engine. One of the best aspects of YouTube PPC is its pricing when compared to Google Adwords, which in recent years has become saturated in many markets. 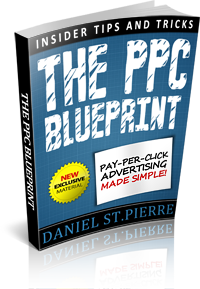 To help you become familiar with this new advertising media, I gathered valuable PPC tips in a FREE PLR ebook for you to use in your internet marketing endeavors as you strive to grow your business or ministry cost effectively – – for God’s glory!